Napa Valley continues to be a very popular destination for Chinese investors and visitors. 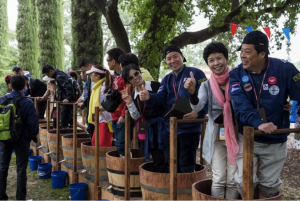 From mid-May to mid-June, more than 9,000 Chinese visited the region, with many leaving inspired to invest in Napa Valley real estate. That supports the point I made in a previous blog post on the growing number of Chinese investors in Napa Valley. 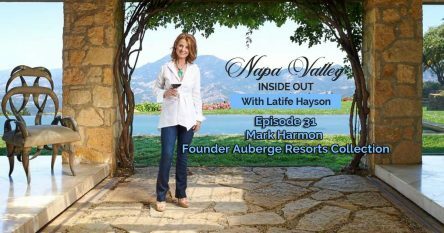 According to the Napa Valley Register, groups of 1,600 visitors, sponsored by Amway, flew into San Francisco to explore several northern California destinations, including Napa Valley. These potential investors from Asia have been increasingly reaching out to me. That’s why I keep up to date on the global real estate market by attending events like the 2015 AREAA Global & Luxury Summit, giving me a special understanding on how to access the growing number of investors out of Asia and the Pacific Rim. In fact, I will be speaking at the 2015 AREAA National Convention in San Francisco in October. Napa Valley pulled out all the stops for the incentive-driven trips. The Charles Krug Winery was wine country central, with the large grassy knoll outside of the renovated Carriage House transformed into a daily farmers market. A separate area on the grounds was decorated with bright blue and white tablecloth-blanketed tables for a luncheon each day. There were also separate wine tasting tables where guests could taste and purchase the latest vintages. For enthusiastic oenophiles, a guided wine tasting was offered in the Chinese language on the second floor of the Carriage House. After an experience like this, it’s not surprising that vast amounts of capital from Asia has been pouring into our little slice of heaven. According to the National Association of Realtors “2014 Profile of International Home Buying Activity,” buyers from China spent an estimated $22 billion on U.S. properties, which is approximately a quarter of total international sales. I am happy to share all my insider knowledge with you regarding working with Chinese investors and visitors in Napa Valley. Please contact me at 707-738-4820 or email [email protected]. 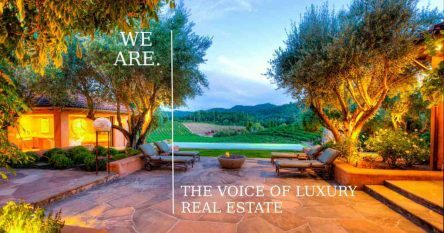 I am also happy to share privileged information I have on quiet offerings of wineries, vineyards, estates, new construction and homes here, as well as the extraordinary properties that are not available on the open market. Zài jiàn for now.